The Sampurnta Samagam, or Concluding Ceremony, for the Tercenetary Celebrations to mark the Guru'ta Gaddi Diwas began at Takht Sachkhand Sri Huzur Sahib, Nanded on October 19 with a Nagar Kirtan from Gurdwara Nageena Ghat in the morning. As per the maryada of Nanded Sahib, the saroop of Sri Guru Granth Sahib handwritten by Baba Deep Singh was brought to Takht Sachkhand Sri Huzur Sahib where Jathedar Singh Sahib Kulwant Singh led Five Beloved (Panj Piaras) completed the ceremony of handing over of Gur'ta, a ceremony marked every year. 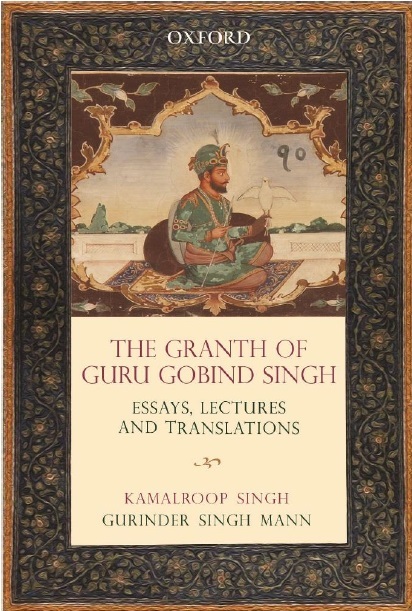 The Tenth Sikh Master, Guru Gobind Singh, had handed over the Guruship to Sri Guru Granth Sahib ji in 1708 before his jyoti-jyot and the ceremony underlines this passing on of Guruship to the scriptures. Among those present during the ceremony on Monday were Vice-Jathedar Baba Jot Inder Singh, Bhai Ram Singh, Giani Pratap Singh head granthi, Bhai Kashmir Singh Vice-Granthi, Bhai Maan Singh Chaur-bardar, administrator of the board managing the Takht Dr P.S.Pasricha, former Akal Takht jathedar Giani Joginder Singh Vedanti, Takht Patna Sahib jathedar Giani Iqbal Singh, Baba Narinder Singh langar wale, Damdami Taksal head Baba Harnam Singh Dhumma, Baba Avtar Singh Sursinghwale, Baba Sewa Singh Khadoor Sahib wale, Sant Kashmir Singh Bhoori wale, Baba Balwinder Singh Kurali wale and Sant Bhupinder Singh Jarag wale. A large number of non-Sikhs were also part of the Nagar Kirtan that witnessed display of Sikh martial arts by many Gatka parties.